John Maclean’s directorial debut is a film for fans of cinema. It riffs on Western genre conventions, its cinematography, and the traditionally romanticised outlaw narrative. Michael Fassbender as Silas in Maclean’s Slow West. There’s a simplicity at the heart of the narrative of the Old West, its gunslingers, and its Indians. Perhaps it’s just the story of good versus evil, perhaps its just a story of survival, but there’s something prescribed about the manner that it all unfolds. Slow West is a different sort of Western. It is more reminiscent of The Assassination of Jesse James by the Coward Robert Ford than any spaghetti Western, or Clint Eastwood vehicle. It’s methodical, and like its name implies, it meanders, and it doesn’t rush towards any conclusions. It’s a story of two men and one girl. It’s a story of guns, outlaws, and wanted posters. John Maclean uses these basic plot points to subvert genre tropes, and Slow West emerges from its conventional roots as something innovative, as a film for film fans. Kodi Smit-Mcphee as Jay Cavendish. Kodi Smit-McPhee stars as Jay Cavendish, a naïve Scottish youth who leaves his homeland behind, and moves to the embryonic United States of America. He embarks on this life changing journey in order to find his lost love, Rose (Brooke Williams), a girl that made the treacherous trip across the Atlantic with her father (Game of Throne’s Rory McCann). Jay’s story is a romantic one and he is completely out of his depth in the Wild West. 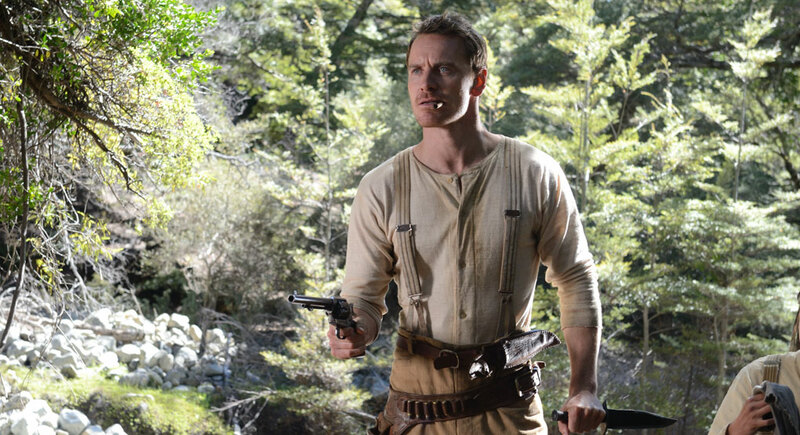 During a confrontation with Indian hunters Jay is saved by a masked gunslinger named Silas (Michael Fassbender). Silas offers to help Jay find Rose and an unlikely friendship begins. 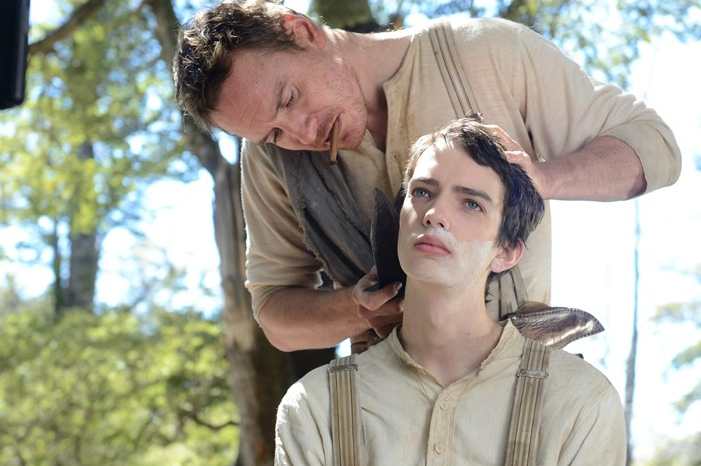 Slow West explores a sort of coming of age story in the mentor/student relationship between Silas and Jay. Jay is naïve and knows little about the world he finds himself in, and Silas is world weary, a gunslinger aware that his time, and the age of outlaws, is coming to a close. It’s in this conflict that a touching character piece emerges. Maclean’s film considers the youthful potential of Jay, and his romantic desire to find the girl he loves, against the utilitarian, and violent perspective of Silas – he’s a realist, who understands just how cruel the world can be. 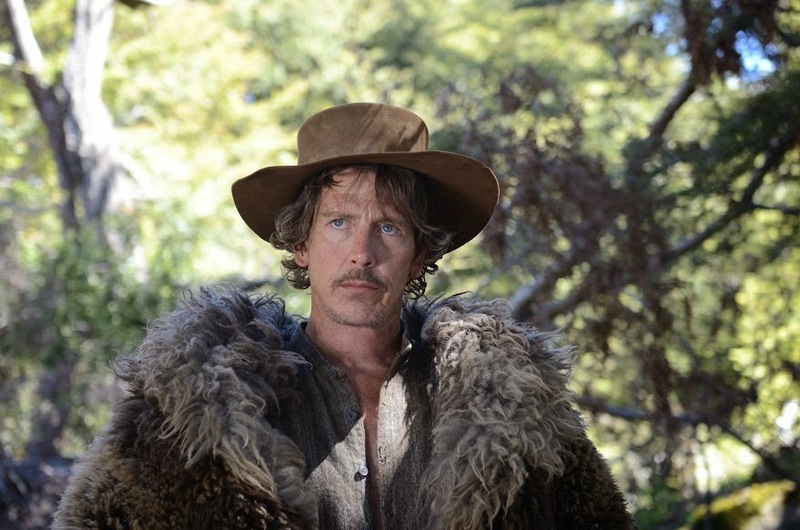 Ben Mendelsohn as the outlaw Payne. leader of a gang of desperadoes. There is a clear conflict brewing under the surface throughout Slow West as conventions dictate that Payne and Silas will have to cross paths. Robbie Ryan’s cinematography in Slow West is perhaps one of the film’s best achievements. It’s shot in the same aspect ratio as the classic Western genre piece Shane and it lends Maclean’s film a distinctly old fashioned tint in the way that the characters appear within shots. Ryan reiterates cinematic language from the past to tell a unique and modern sort of Western. Maclean’s film reflects the dreamy romanticism of Jay’s perspective with languid takes, and shots that highlight the world around him, just as much as they focus on him. It’s a film that often resorts to humour, but it’s always dark comedy and there’s a hint of the Coen brother’s writing to Slow West. But Slow West is a Western. It subverts conventions, and it plays with audience expectations, and when the chips are down, the characters are happy to reach for their guns. There’s a compelling build up towards the blood soaked finale and in amongst the beautiful vistas, the stunning expanse of space that dwarfs the characters and their actions, it becomes apparent that surviving in this world is down to sheer luck. There’s a chilling scene early on that involves a shoot out with a husband and wife. It’s a tense moment, one that resorts to violence quickly and explosively, but it’s the moment after the dust settles that reveals the skilful writing and direction from Maclean. Slow West highlights the chaos inherent in a world where things fall apart. Slow West doesn’t always seem to be aware of where it’s going and just like Jay, the story often meanders and loses direction. But the journey is exciting, the landscapes and vistas sublime, and Ryan’s artistic cinematography ensures that there’s always something worth watching. Maclean’s film spoofs its genre conventions and in the process it reveals a love of the Western, the cinematic form that pits bad guys against good guys, and that reveals violence to be quick and definitive. But the strength of Slow West lies in the fact that it focuses on the aftermath, the moments where the horror, and the scope of what happened are felt most keenly. In that it finds its own voice, and becomes more than just a homage. Romantics and gunslingers meet in John Maclean’s directorial debut, Slow West.